The real Photomyne magic happens when you share the great memories you just recently discovered with the ones you love . Below we explain how to share photos. 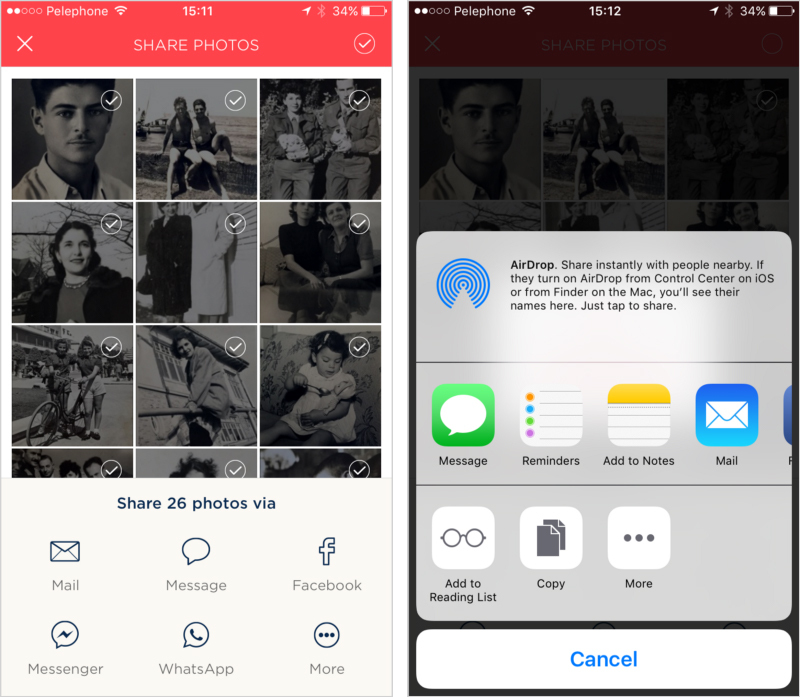 The following steps for sharing photos apply to both the iOS and Android Photomyne apps. 2. Now, select the photos you’d like to share. To share all the photos in an album, tap the circle on the top right corner of the screen. 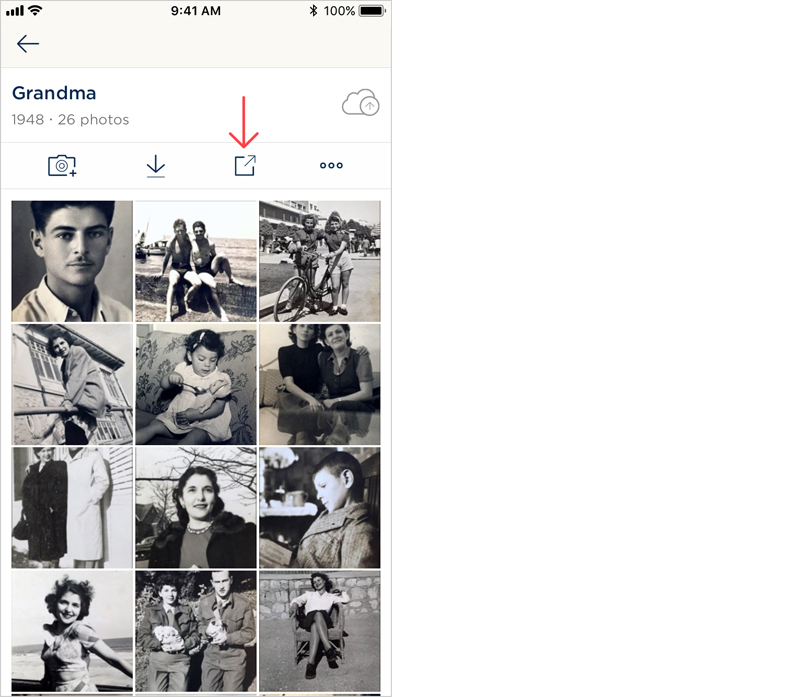 To select some of the photos in an album, simply tap to select them. 3. Next, select the sharing method or channel. You can choose between email (using the configured email provider on your device), text message, Facebook, Facebook Messenger and more. Want to use the iPhone’s default file sharing menu? Simply tap the 3-dot More option and select your action of choice. If you want to share a single photo, the app will send the actual .jpg file to the recipient you've chosen. 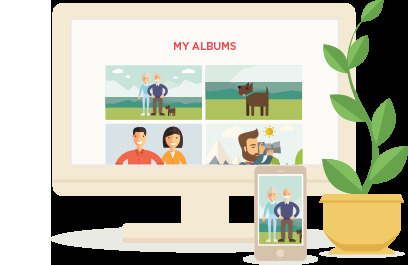 Any photo sharing of two or more photos will be in the form of a unique web link. The people you share that link with can then open it in their browser (on any device) and view the photos as well as the description, location, date and names you added. If you're interested in learning how to save photos you scanned with Photomyne, as opposed to sharing, here's how to do it.